Happy Earth Day, Tischer friends! It’s actually the 45th anniversary of Earth Day, and we thought we’d take a moment to honor this beautiful planet we all share as well as remind you about the Nissan PUREDRIVE® badge and what it stands for. The PUREDRIVE® badge has been around for some time and so it’s easy for drivers’ eyes to glaze over that emblem without a second thought as to its meaning. 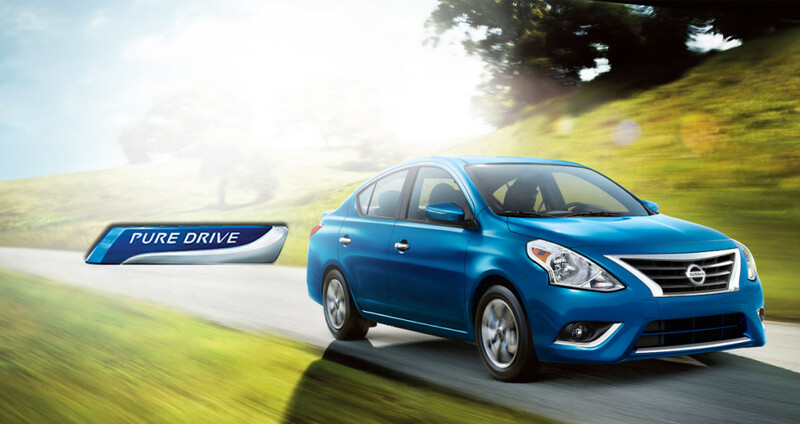 Debuting on the 2012 Versa sedan, Nissan launched its “Pure Drive” initiative, which showcases Nissan’s continuing commitment to development of environment-friendly technology through improved fuel economy on internal combustion engine vehicles with reduced CO2 emissions. The crux of this technology is replacing an automatic transmission (AT) with a continuously variable transmission (CVT). This technology replaces fixed gears with two tapered pulleys linked by a metal belt, which curtails the typical waste of significant amounts of fuel by the AT’s selecting gear ratios less-than-efficient for specific road conditions. The result is smooth acceleration and a much wider range of gear ratios that serve to boost fuel economy. Early CVTs gave birth to Nissan’s even more efficient and lightweight new generation of XTRONIC CVTs. XTRONIC CVTs help with fuel efficiency and fuel economy, and create less internal friction. With Adaptive Shift Control, which offers more than 1,000 shift patterns in sporty, normal and city modes, XTRONIC lets you choose a driving experience that suits the road and your mood. By purchasing a car with the PUREDRIVE® badge not only will you be helping the environment, but through these more efficient and greener technologies, you’ll be a little kinder to your wallet as well.